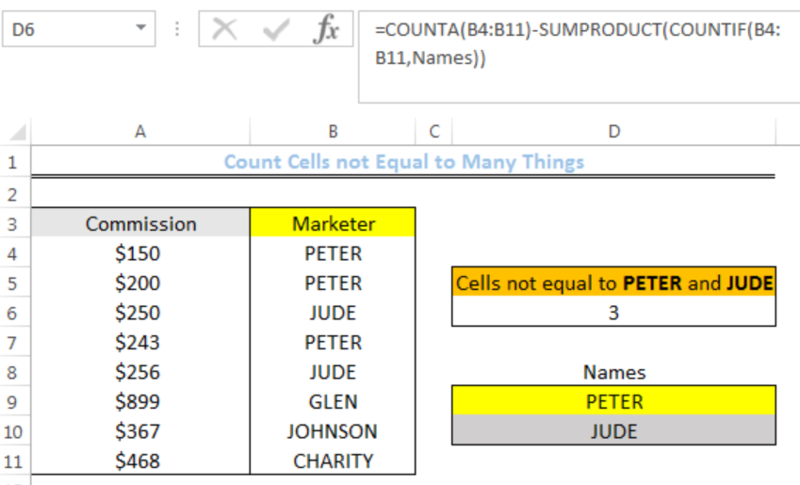 We can count cells not equal to many things with a combined formula that utilizes the COUNTIF, SUMPRODUCT, and COUNTA functions. This is useful to decipher cells that do not belong to the same category. 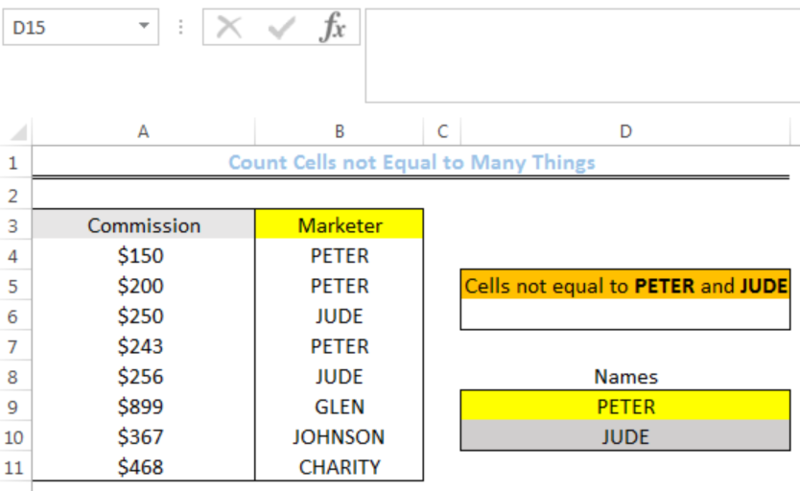 The steps below will guide all levels of excel users to count cells not equal to many things. The COUNTA function counts all the cells in the range B4:B11. The total number of cells in the range is 8.